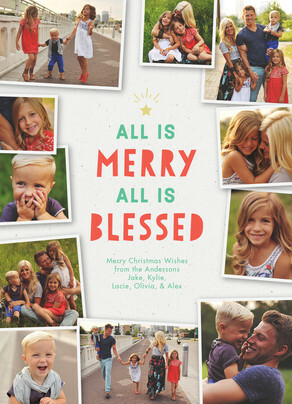 Even though we design holiday photo cards months in advance, I am 100% guilty of finding myself without the perfect photo for my holiday card. Last year, the only “good” photos of my boyfriend and I were on my phone and Instagram. 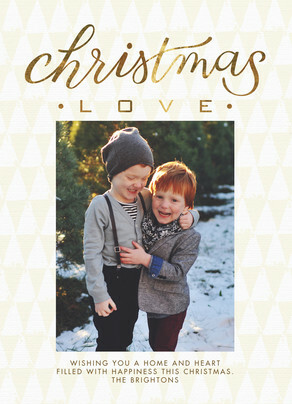 So, I had photos, but how was I going to make a great looking holiday card?! The first thing to keep in mind is that while many phones take fantastic pictures, their quality for printing isn’t the best. All this means is that you should avoid designs that need your phone pic to be really large (the area of the whole card). This doesn’t mean you have to use several photos, though. You can still have one photo be the star by finding designs where the art supports your picture, instead of the picture having to do all the heavy lifting. Another possible issue with using phone pics is that there can be a lot of colors floating around, making it look busy. An easy fix for this is to either apply the same filter to all your pictures in an app like Instagram, or to change all your photos to black and white. And don’t worry if you don’t have a photo editing app on your phone – as you upload images into your Cardstore card, you can click “edit photo” and change all your images to black and white. As you can see from my holiday photo card from last year, making this change made the card feel like everything went together. Did you take a special trip this year? Or maybe you just have the perfect photo of your scenic backyard? 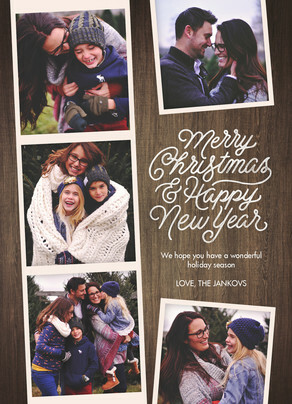 Make your holiday photo card a piece of art with one of our create-your-own cards! 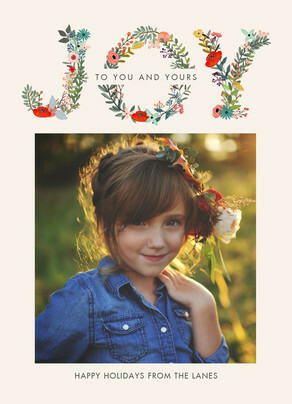 The trick here is to pick a card that has art included in the design, so your photo doesn’t have to get too big. 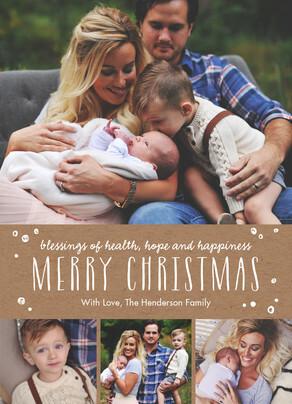 I hope these tips help you to make the best holiday photo card with your phone pics! If you have any suggestions or questions, we’d love to hear them.